A writer, actor,story teller of rare talent & compassion. At 48, Tim Cranmer is a secret servant in retirement, free to devote himself to his manor house, his vineyard and his young mistress, Emma. But a rival in love disappears with Emma, and Tim sets off in pursuit. 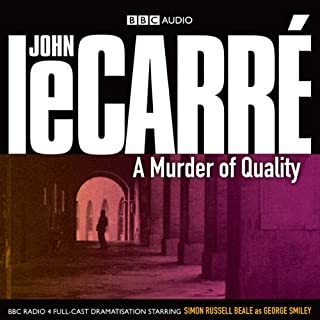 A Murder of Quality, set in the early 1960s, sees George Smiley investigating a murder in a public school. When the wife of one of the masters is found bludgeoned to death, Smiley, out of loyalty to an old friend, agrees to look into the case. But his investigation raises a multitude of questions. Who could have hated Stella Rode enough to kill her? Why was her dog put down shortly before the murder? And what did Mad Janie see on that fatal night? 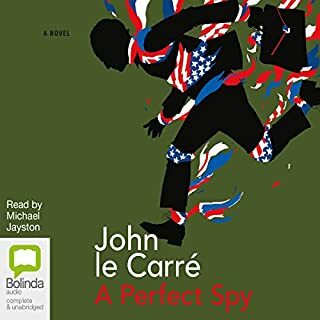 An unabridged reading by Michael Jayston of John le Carré’s first novel, which introduced his most famous character, George Smiley. Smiley is one of the most brilliantly realised characters in British fiction. Bespectacled, tubby, eternally middle-aged, and deceptively ordinary, he has a mind like a steel trap and is said to possess ‘the cunning of Satan and the conscience of a virgin’. This novel, set in London in the late 1950s, finds Smiley engaged in the humdrum job of security vetting. But when a Foreign Office civil servant commits suicide after an apparently unproblematic interview, Smiley is baffled. Refusing to believe that Fennan shot himself soon after making a cup of cocoa and asking the exchange to telephone him in the morning, Smiley decides to investigate – only to uncover a murderous conspiracy with its roots in his own secret wartime past. 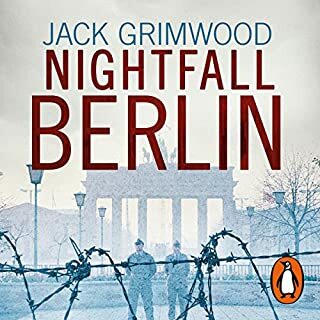 ©1962 David Cornwell (P)2014 Bolinda Publishing Pty Ltd.
John Le Carre's deftly drawn characters and well informed books on the world of espionage should need no introduction. 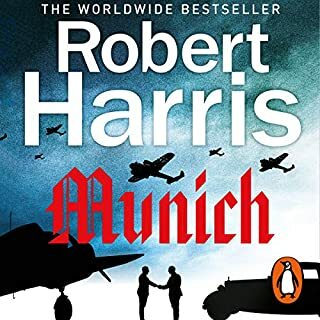 Yet despite watching the two BBC miniseries based on the George Smiley character I hadn't read any until I listened to this, the first book in the eight featuring George. Smiley is a fascinating character, quite opaque, quiet and undemonstrative. He is the polar opposite of James Bond yet is a superb protagonist. Le Carre's first book is well plotted and paced, gently ambling towards a conclusion. I did anticipate a couple of plot points but it was still a pleasure to seem them play out. The audio book is excellently narrated with the characters easily distinguished and full of drama. listened to it from Perth to Kalbarri on our way camping at Lucky Bay. Great for staying awake on a road trip. Great book and well read. Michael Jayston is a great reader and lends himself to the characters. Book is interesting and often times dramatic. First venture into the world of George Smiley, good to start at the very inception of his character. The 4 * is because despite the narrator being amiable there was at times difficulty in distinguishing which character was speaking. You have to really 'listen' intently to the narrative to follow the plot. Perhaps because of the style of narration I found myself rewinding the story quite a bit on numerous occasions. 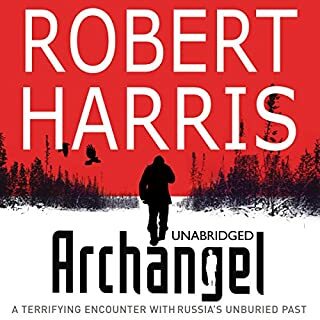 This said, I did enjoy the story and am happily listening to the next installment read by the same chap. I've tuned into him now! George Smiley - not quite sure what to make of him yet, he reminds me a bit of C J Sansoms Shardlake character; beguiling but with an underlying intrigue, I like him, I hope that he develops as a character throughout the books, that we get to know more about him. The length of the story is just right, I generally enjoy 20hr plus novels but it has been quite refreshing to partake of this short book. An easy listen - not necessarily and certainly not for when you are tired. Another John le Carré novel that I would recommend unreservedly. I have read other le Carré novels first that were far more epic in nature but enjoyed that this story started off in a far more subtle way gradually bring the characters we love into focus. 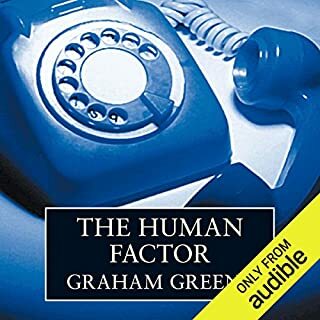 In some audio books I find I have to try to ignore the fact that the narrator only seems to be able to do one voice for a dozen different characters or uses a tone/accent that seems completely at odds with the story itself. 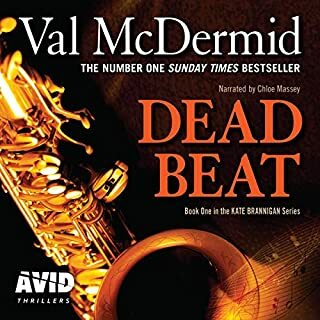 In this version the narrator is in perfect keeping with the atmosphere of the book bringing the characters and story to life in a way which in my opinion is comparable with the BBC dramatizations. The beginning of the Smiley series and it does begin in that rather lonely and depressing manner the le Carre often writes in. That to one side Smiley aka Toad is si beguiling and the story is not complicated and so makes a wonderful introduction. The reader is perfect and I have heard le Carre himself read and it's fine enough but Jayston elevates it and feels right. This 1961 novel was Le Carre’s first. It was an instant success and introduced the literary world to George Smiley. It contrasted starkly with the action packed, ruthless, gun totting macho heroes found in James Bond stories. Instead, it portrayed spies as bureaucratic types with academic rather than physical prowess. Smiley’s world is often mundane, even boring, but also peppered with flashes of inspiration and luck. Similarly, his colleagues are not drawn from an elite SAS team, but seem to have all the normal foibles of normal people. If Fleming’s Bond was a hare then LeCarre’s counterpart of Smiley was definitely a tortoise. 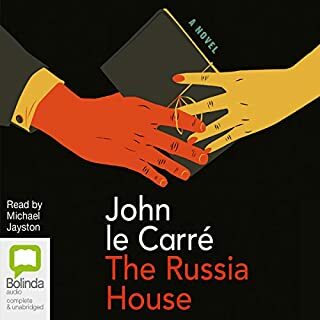 On the face of it, Le Carre’s first book does not sound as if it would compete with well established best-selling Ian Fleming and that is the point, it doesn’t. In spite of both authors writing about secret agents they are from very different stables. What Le Carre does is to provide an insight into a different kind of spy from Bond. And he does it in a way that hardly requires any suspension of disbelief. 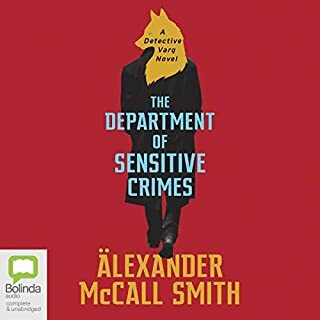 Smiley’s world oozes with the verisimilitude of real spies from that era, Burgess, McLean, Blunt etc., people living apparently ‘normal’ lives, but with dark secrets. 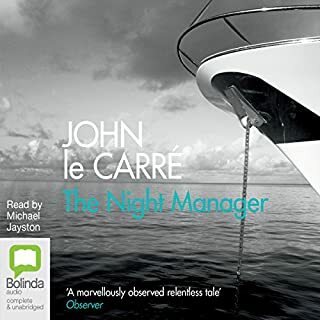 Furthermore, Le Carre conjures up his story using outstanding prose that makes you want to keep on listening. It is like missing your stop on the underground because the conversation you are eavesdropping on is just too enthralling, even if it is seemingly about everyday things. 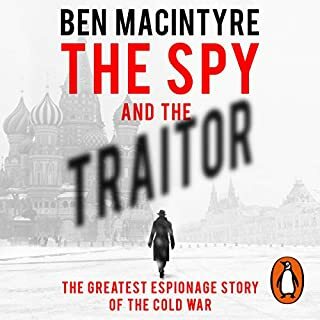 So, if you like a well told story that happens to be about spies then you should like this book. Finally, full marks for Michael Jayston who give a great performance and makes the characters come alive. As the first LeCarre I was a little trepidatious, fearing a weak first novel. But this was a cracker. 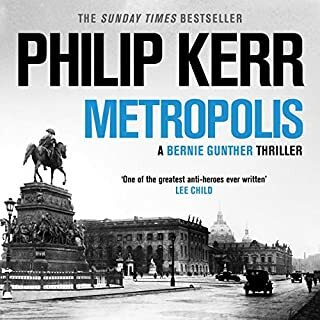 Excellently read and with a sense of tone and atmosphere which drew me in to a nicely complex plot, not overdone or hard to follow but gripping and engaging. 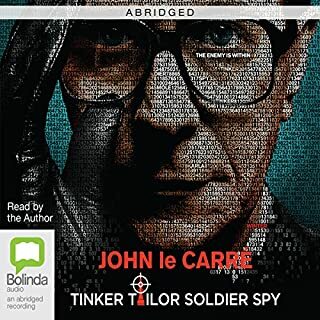 I started listening to John le Carre with Tinker Tailor Soldier Spy (another book which I can thoroughly recommend) and i've become addicted to him. 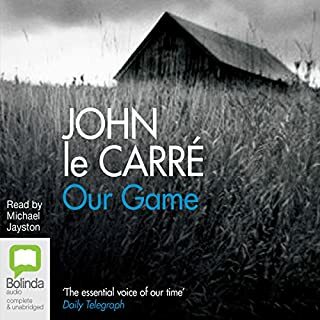 This, his first book, is a great read/listen and a much easier one than Tinker Tailor, albeit just as engrossing. I would highly recommend it. 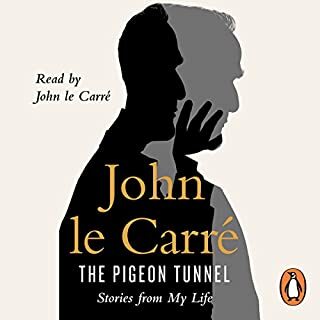 This is by no means Le Carre's best work but as an early Smiley story gives an interesting background to our friend and is well worth a listen. 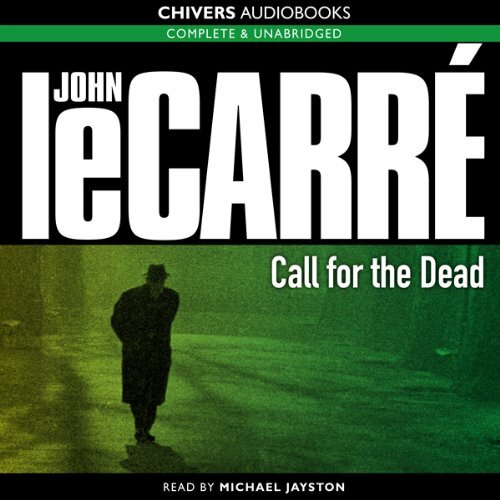 Call for the Dead is the first John Le Carre/Smiley novel that I have listened to and, based on this, will definitely be purchasing more. It is an entertaining, compact spy story with great central characters. 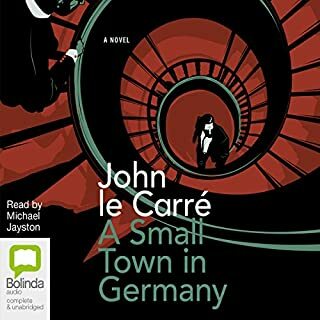 My enjoyment of it was further increased by the excellent narrator who perfectly performs all of the characters, George Smiley especially. Meeting George Smiley again after a number of years is like running into a dear old friend. A friend who you take at face value with all his foibles because time has taught you he will not let you down. 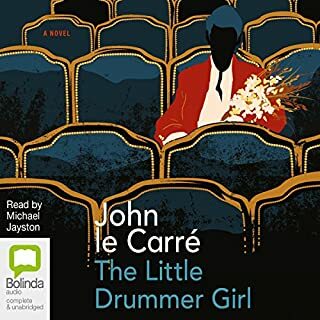 Le Carre draws you into the tale from the very beginning and then there's no stopping . 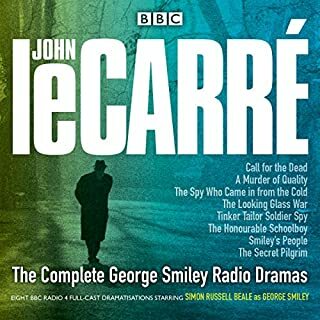 The first George Smiley novel which is worth listening to for the back story alone. Set at the dawn of the cold war as the first east european intelligence networks are developing, it feels much more of a period piece; telephone exchanges, cockney car dealers and amateur theatre companies. However, in this early novel, we can John le Carres lift this spy story far above a penny thriller through his ability to paint psycological complexity and claustrophobic atmosphere.